On November 23, 2017, mgm hosted another Raspberry Pi hackathon in Munich. In contrast to the previous hackathons, the assembly of the three-wheel robots was not required. The seven participants were able to dive directly into the code and program their vehicles in such a way that they snaked along the test track, which consisted of black adhesive tape, in the best possible way. We were especially pleased to see some participants from the previous hackathons who perfected their code. The fine-tuning was very successful, the results spoke for themselves! 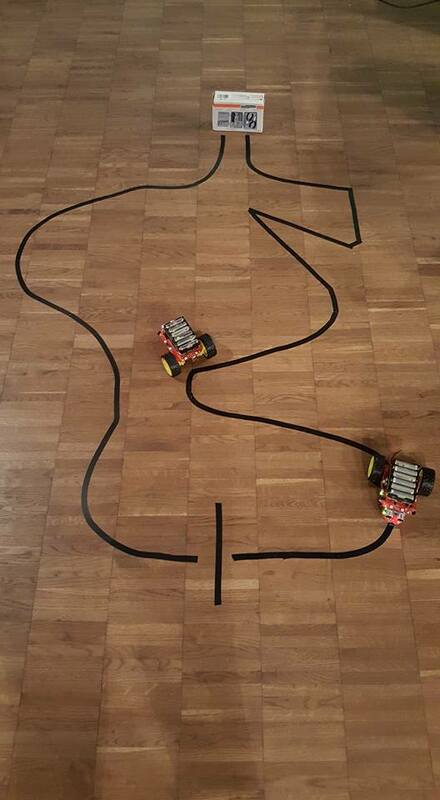 At the end of the evening each participant received a Raspberry Pi and a robot. Starting in 2018, new hackathon challenges will be presented!